From your dentist to your optometrist, you put a lot of trust in every medical provider whom you see. Unfortunately, healthcare professionals make mistakes just like anyone else, and the consequences are often devastating. 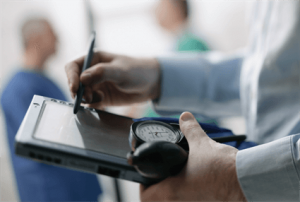 If a physician fails to provide adequate care and you suffer an injury or illness as a result, you may have grounds for a medical malpractice claim. Since medicine is far from an exact science, the idea of suing a doctor over unanticipated complications may seem absurd. In reality, though, complications are often the result of negligence and are therefore entirely preventable. You may have heard horror stories about surgeons operating on the wrong side of the body or leaving a scalpel inside a patient. 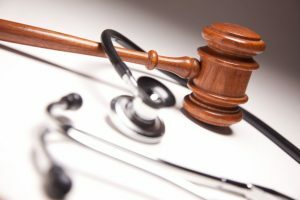 Such accounts may seem far-fetched, but medical malpractice actually occurs far more often than most people realize. According to The Washington Post, medical mistakes account for more than 250,000 deaths annually. And those who are fortunate enough to recover after receiving substandard care often suffer permanent disabilities and crippling financial losses. If you have been the victim of medical malpractice, contact Charnas Law Firm to determine the most strategic way to proceed. Attorney Scott Charnas has assisted hundreds of clients in personal injury and wrongful death cases. Call 212-980-6800 to schedule a free case evaluation with a medical malpractice attorney in New York City. According to The New England Journal of Medicine, roughly 1 percent of physicians are responsible for more than 30 percent of all malpractice payouts. Therefore, it is wise to review a doctor’s legal history prior to making an appointment. Those who have been sued in the past are statistically more likely to provide substandard care in the future. The average medical malpractice settlement is $425,000, according to Medscape. This may seem like a lot, but the average jury award is more than $1 million. Hofstra University reports that from 2006 to 2016, New York was among the top four states where the most medical malpractice claims were filed. The three other leading states were California, Florida, and Texas. According to U.S. News & World Report, medication mistakes hurt approximately 1.5 million people annually. Common errors include prescribing or preparing the wrong drug and administering the wrong dosage. If you received substandard care in a medical setting, you may be entitled to compensation for all resulting damages. To discuss your case with a seasoned personal injury lawyer, turn to Charnas Law Firm. With one office in New York City and another in Boston, we represent clients in both New York and Massachusetts. Call 212-980-6800 or fill out our Contact Form to schedule a free consultation with a personal injury attorney in New York City.